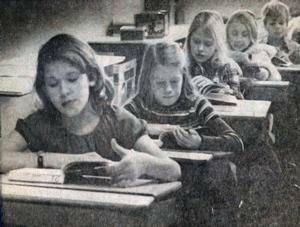 ACS began as a dream in the hearts of concerned parents and Christian citizens in 1975. On January 7, 1975, about 40 people met to discuss the possibilities of developing a school that would be founded on the basis of Christian Education and Godly leadership. A board was formed, curriculum chosen, teachers selected, and on September 3, 1975, Aurora Christian School opened its doors with 82 students in grades K-9 in facilities loaned by Claim Street Baptist Church. By the end of the first year, enrollment had grown to 114 students. The next year, the school expanded even further to include a preschool and 10th grade. Before long, the need for a new building was clear. God provided a large building on Illinois Avenue, and, after thousands of hours of volunteer work (and some contracted labor), Aurora Christian moved into their new facilities in 1976. Within a few years, the school had swelled to well over 400 students, and, once again, larger facilities were needed. With the help of friends and families, and by the grace of God, ACS moved into its new building on Blackhawk street. 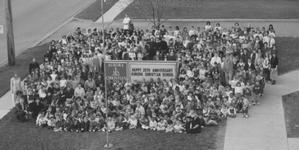 Over the following decades, God continued to bless Aurora Christian Schools. In 1988, ACS received full accreditation from ACSI (Association of Christian Schools International) and full recognition from the State of Illinois Board of Education. The latter enabled us to join the IHSA (Illinois High School Association) as full members for athletic and other competitions. In 2003, ACS also received full accreditation from NCA (North Central Association). In April of 1997, God continued the miracle called ACS with the addition of 116 acres along I-88 near Orchard Road. In 2003, portions of this property were sold to allow the purchase of a facility on Sullivan Road. Renovation on this new facility occurred during the spring and summer of 2004. 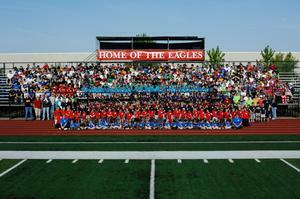 Since then, we have added a full gymnasium and state-of-the-art football field. In 2011, our Preschool and Elementary schools joined Middle and High School in the Sullivan Campus building. We are now “Under One Roof” and fully occupy the Sullivan Campus.